De Ligt who was part of the Ajax team that knocked Real Madrid out of the Champions League a couple of weeks back, is wanted by many top European clubs. The fight is on for the player's signature and Laliga giant, Barcelona have already made a €60 million bid for the Ajax centre-back sensation, according to Sport. With their interest now confirmed to be true, De Ligt has told his agent, Mino Raiola, Paul Pogba's agent, that he wants to move to Barcelona. 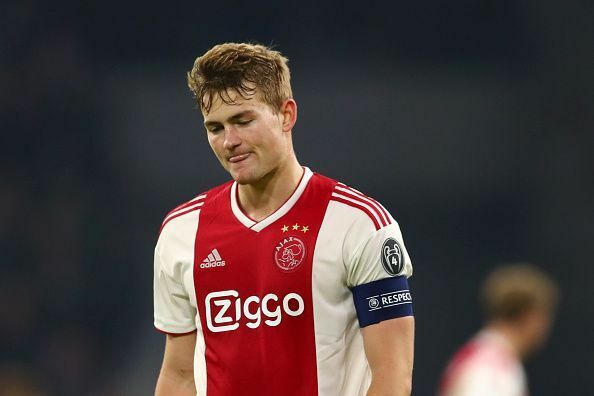 And this is according Mundo Deportivo, who claimed that De Ligt has told the Mino Raiola, his agent, that his ambitions are not driven by money and that he feels Camp Nou should be his destination in the summer. And according to report, Barcelona have sent scouts to watch his game today, as Netherlands plays against Germany. Although the game is not going as expected, as the half time has ended with a two goal deficit. Nevertheless, De Ligt is being seen as a long-term replacement for the ageing Gerard Pique. Barcelona have also signed De Ligt's Ajax teammate and midfielder, Frenkie De Jong and he will join the Barcelona team in the summer.